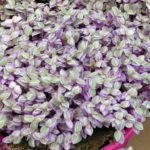 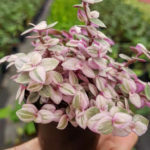 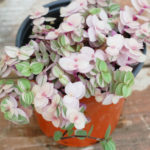 Callisia repens ‘Pink Lady’ is a low growing, evergreen, perennial succulent, up to 4 inches (10 cm) tall, with stems full of small round waxy leaves. 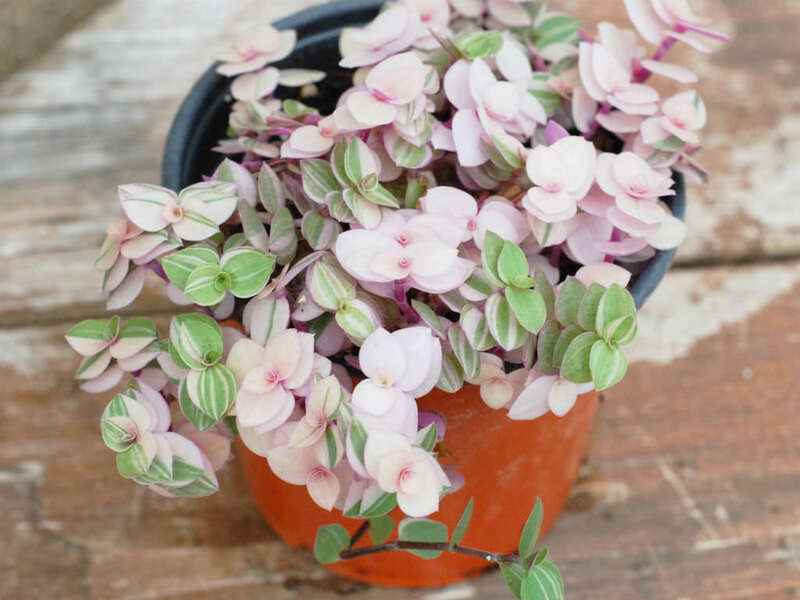 They are up to 1 inch (2.5 cm) long and vary in colors from green striped, pinkish and cream with a burgundy underside of the leaf. 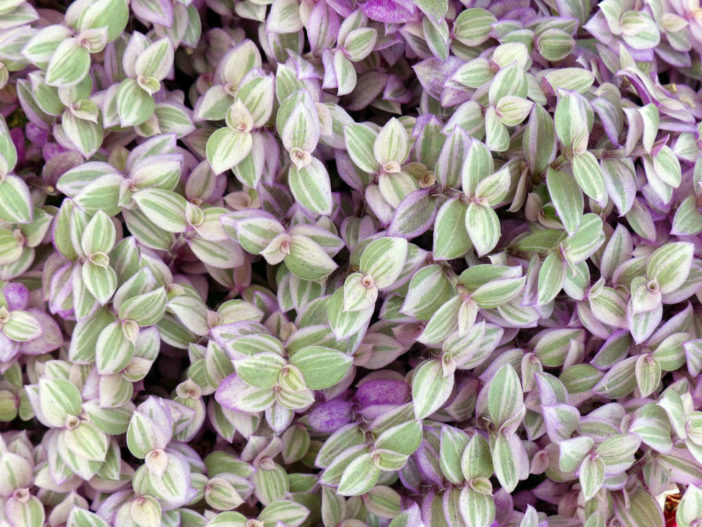 The flowers are small, white and appear in late spring or early summer. 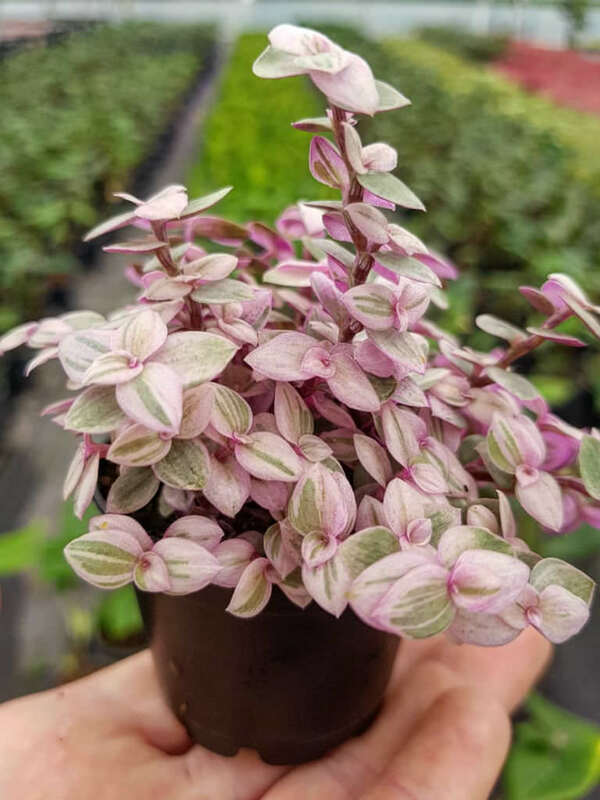 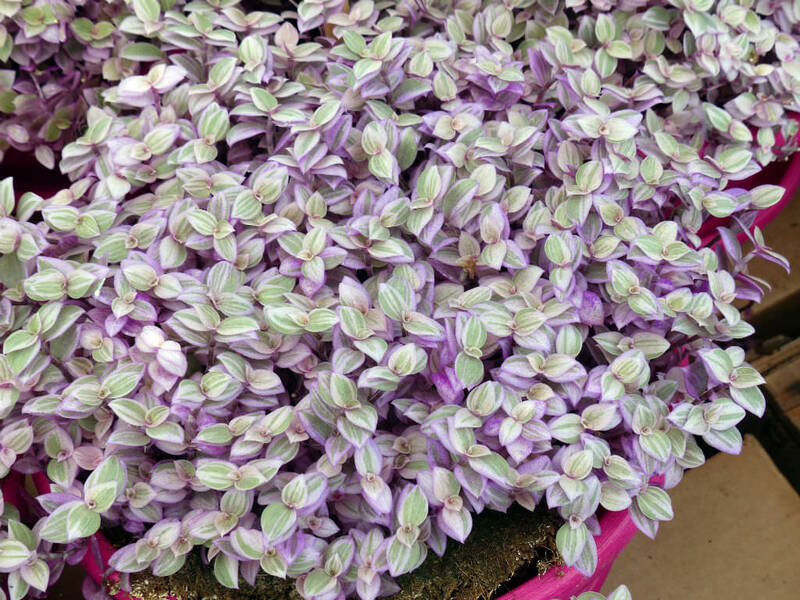 Callisia repens ‘Pink Lady’ is a variegated cultivar of Callisia repens.